#268: The Orange Line Extension! AH, the vaunted “Orange Line” bus extension which opened up near me last summer and has been a thorn in my side ever since. The Los Angeles Metro bus system is certainly deserving of its own entry in a future edition of this wildly popular feature of my blog, but today, we’ll focus specifically on the Orange Line Extension. I am, thank dear God in Heaven, not a bus rider. I have been a bus rider in the past, and I pray to dear God in Heaven never to be a bus rider again. Los Angeles is a car city and that’s just the way it is, despite how all the ninnies and nannies are trying to convince us it can be otherwise. It’s too spread out. It’s laid out for exhaust-belching automobiles. It’s not a public transportation-friendly place. Just ask our maid, Ildefonsa, who mutters in angry German under her breath when, on a whim, I send her over to the Westside or to Hollywood for a few sprigs of fresh cilantro at one of those ridiculous farmer’s markets. 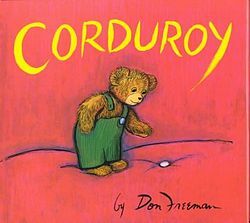 She knows her entire day is shot – she’ll be stuck on one hot, stuffy, stinky overcrowded bus after another instead of her usual practice of disappearing for eight hours in the nursery flipping through “Goodnight Moon” and “Corduroy” while sneaking sips of the Sambuca we use to get little Dillon to sleep when he’s over-excited. My daily busy, busy, busy ant-like comings and goings frequently take me across Canoga Avenue. 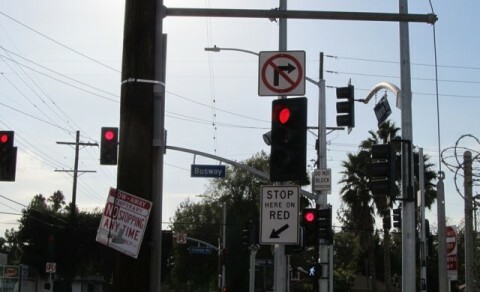 Used to be that what I’d do, see, is wait for the light to turn green to cross Canoga, and then I’d cross Canoga. 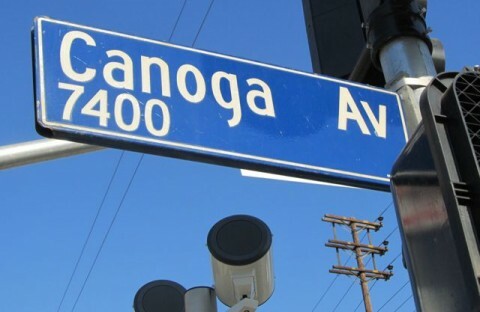 If I was on Canoga, and heading east, I’d turn at whichever light I was at…and head east. 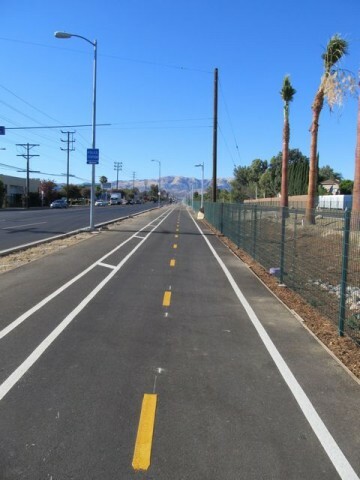 Now that the busway runs parallel to Canoga on a sliver of land previously occupied by used car dealerships, storage facilities, long-abandoned train tracks and unmarked graves of any local politicians who dared make a move against the labor unions – probably! – what I do is basically the same thing, only it takes me roughly eight times as long. 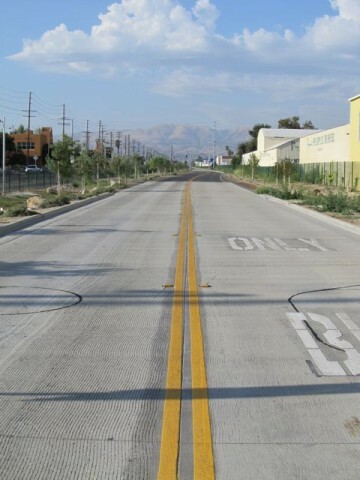 There’s now two sets of lights at all the intersections crossing Canoga from the east – the light for bus lane traffic and the light for street traffic. And despite how infrequently the buses seem to rumble by, these lights are usually red, if only to keep stupid drivers from stopping on the bus lane. 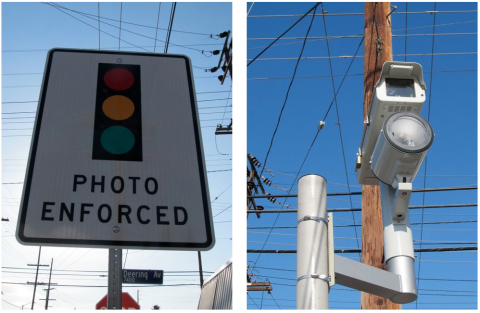 Add to this the frequent and disturbing flashing of red light cameras (which we were told were being disabled throughout all of LA over a year ago) as well as the fact that the busiest thoroughfare it crosses – Sherman Way at Canoga – is now a complete clusterf– …you know, and, brother, you’ll be arguing that the Orange Line Extension needs to be #1 on my list! And then I remind you that the numbers on this ongoing list are arbitrarily assigned, and we all calm down a bit. Here, have some Sambuca. Still, I hate the Orange Line Extension, and now, so do you. By the way, I haven’t even touched on the damn bike path running alongside it! I haven’t even touched on that thing yet! Posted by Ted on March 20, 2013, 3:34 AM.